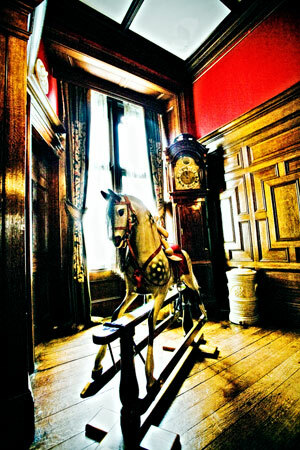 If your old or antique rocking horse needs repairs, please call on the UK's premier rocking horse repair specialists. Our network of rocking horse restorers repair, restore and renovate old rocking horses all over the UK, including England, Wales and Scotland. So, for example, if you are seeking a Midlands rocking horse restorer or antique rocking horse restoration East Anglia or need London rocking horse repairs, we can assist. Our rocking horse restorers cover most areas and cities including rocking horse restoration London, Manchester, Birmingham, Cardiff, Bristol, Leeds, Liverpool, Southampton, Newcastle, Exeter, PLymouth. We provide antique rocking horse renovation and rocking horse refurbishment throughout London and the South-East, including East Sussex, West Sussex, Surrey, Kent, Essex, Berkshire, Hertfordshire, Buckinghamshire antique rocking horse restoration. As our rocking horse restorers' workshops are located in North-West England, South-West England, South-East England, the East of England, the Midlands, Yorkshire and Scotland, we offer local restoration in most of the country with low-cost collection and return. In the North-West, our restorer covers Lancashire, Greater Manchester, Cheshire, Staffordshire, South Yorkshire restorations. So, we repair and restore horses from the major cities such as Liverpool, Merseyside, Leeds, Sheffield, Stoke-on-Trent rocking horse repairs, renovation and refurbishment. Our Surrey rocking horse restoration workshop undertakes repairs and renovation of horses from the South-East. This covers Sussex, Kent and Essex restoration and extends to Hampshire, Dorset and Berkshire rocking horses. Rocking horse restorer London. In the South-West, we expertly repair and restore rocking horses from Devon, Cornwall, Exeter, Plymouth, Somerset, Bristol, Bath, Avon, Gloucestershire, South Wales, Wiltshire and the Cotswolds. Our Midlands rocking horse restorers can assist with Shropshire, Warwickshire and Worcestershire rocking horse restoration in the West Midlands, as well as Leicestershire, Nottinghamshire and Derbyshire rocking horse restoration in the East Midlands. Our Yorkshire rocking horse restorers can provide a high standard of rocking horse repairs in Yorkshire. The area covered includes Sheffield and South Yorkshire as well as Leeds and West Yorkshire, Hull and East Yorkshire, Harrogate and North Yorkshire Teesside rocking horse restorer in Middlesbrough. Our Scottish rocking horse restorers provide rocking horse repairs in various locations in Scotland. This includes a Glasgow rocking horse restorer and an Edinburgh rocking horse restorer, so please contact us for rocking horse restoration Scotland. Our Welsh rocking horse restorers include an antique rocking horse rocking horse restorer for South Wales and West Wales, covering Cardiff, Newport and Swansea and a North Wales rocking horse restorer, so please contact us for rocking horse restoration Wales. Rocking horses restored include F. H. Ayres, G & J Lines, J. R. Smith, Lines Brothers Sportiboy, Tri-ang, Pegasus, Baby Carriages, Leeway, Swallow Toys, Collinson, Ajoy, Swan, Brassington & Cooke, Turnbull & Co. etc. Haddon Rocking Horses and Haddon Rockers fibreglass or fibre glass rocking horses are restored too. The cost of restoration varies according to the type and size of horse. 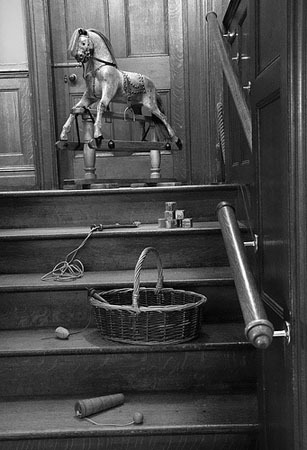 If you provide us with full details of your horse, we will be pleased to estimate the rocking horse restoration cost. We are geared-up to respond to your e-mail enquiry and you can expect an e-mail response quickly. If you would prefer someone to contact you by phone, please let us know your location, brief details of your rocking horse and your phone number.